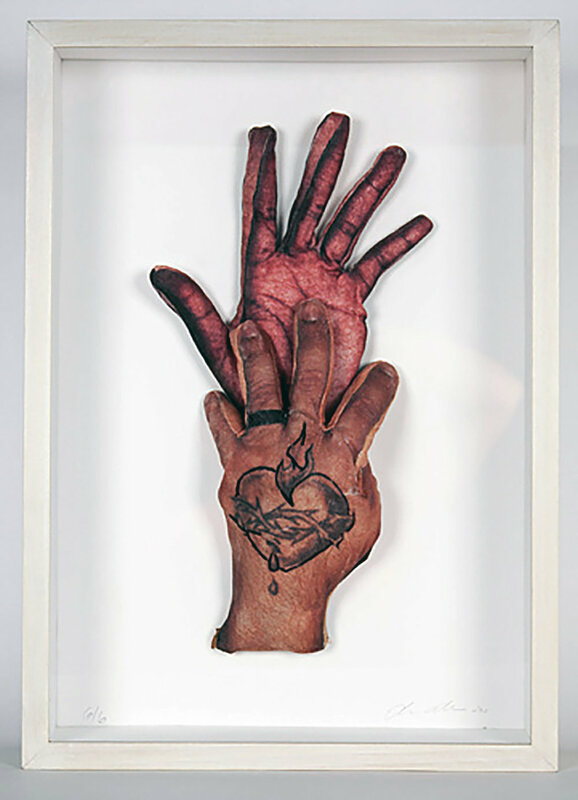 Elia Alba, Hands (Sacred Heart 1), 2013. Silk screen on fabric, wire, fiberfil, acrylic and thread. Presented in partnership with GMHC. The Angry Heart: AIDS, Art, Activism will convene a panel of artists, New York-based arts organizations, and the NYC Department of Health and Mental Hygiene to engage in a discussion exploring the inter generational relationship between art, activism, and the HIV/AIDS crisis in New York City. Moderated by As Far as the Heart Can See artist, Ivan Monforte. Panelists include: Linda Earle (Board Member, Art Matters), Lucia Torian (Director, HIV Epidemiology Program, NYC Department of Health and Mental Hygiene), Esther McGowan (Executive Director, Visual AIDS), Gonzalo Casals (Executive Director, Leslie Lohman Museum), Travis Chamberlain (Managing Director, QUEER | ART), and Luna Ortiz (Artist; Senior Community Health Specialist, GMHC). Gay Men’s Health Crisis (GHMC) is the world’s first and leading provider of HIV/AIDS prevention, care and advocacy. Building on decades of dedication and expertise, we understand the reality of HIV/AIDS and empower a healthy life for all. GMHC fights to end the AIDS epidemic and uplift the lives of all affected. To learn more about GMHC or how you can donate, volunteer, tour the agency, or become a client, visit gmhc.org, contact GMHC by email, or call 212.367.1000. GMHC is located at 307 West 38th Street, New York, NY 10018. This event takes place in conjunction with As Far as the Heart Can See (September 21 – November 17, 2018).